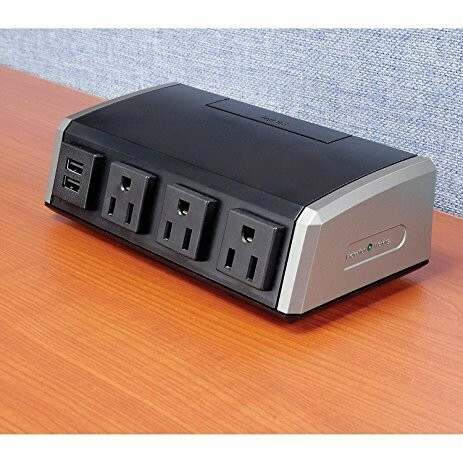 A great power dock that offers three surge protected 15 Amp power 110v outlets and two USB outlets for charging devices. Clamps on desk edge and includes kit for mounting ontop of existing grommet holes. • Add power where needed. Brings access to power up to the work surface. • Included edge clamp or hole mounting hardware. • 12’ power cord. 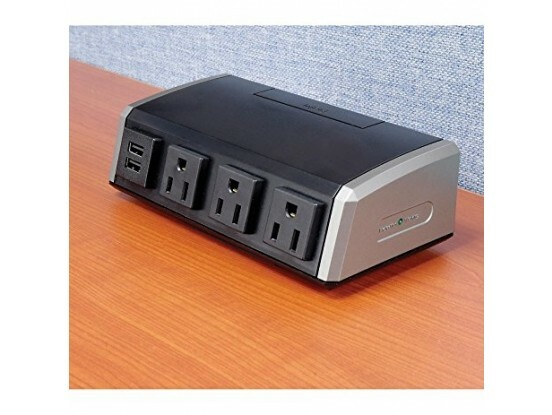 Provides increased flexibility by extending access to power sources. • Surge protection built-in. No need to install an additional power management component.